Bouvardia is clusters of small tubular flowers with four equal petals on top of slender woody stems. When they come from the farm they are most in bud stage, with only one to two flowers open. Once the flowers open they may start to bend or drop from the cluster. Remember they bruise easily and should be handled with care. To prolong the vase-life, re cut the stems and place into deep, fresh warm water frequently. This will help keep a steady water flow to the flowers. Also, you may want to tear off any excess greenery and blossoms so that more water reaches the primary blossoms. They have a very unique shape that is particularly inviting at weddings. They come in shades of white, red, pink, and light pink. They are also a nice complement to your bouquets and centerpieces. No decoration is complete with beautiful flowers. Flowers are the first thing that pops in your head when it is about adding beauty to the venue. Bouvardia flowers not only add sophistication to the ambience but also add to the aroma. These small yet beautiful flowers can lighten up any event. Bouvardia is a flowering plant from the Rubiaceae family. Originating from Mexico and Central America, they can also be found in Arizona and Texas. The Bouvardia flower is often used to symbolize enthusiasm. These Bouvardia plants aren't very tall and grow to a maximum height of 1.5 meters. The leaves of this flower are almost ovular in shape and measure around 3 to 11 cm. This makes them suitable for a lot of various decorations. The flowers are found at the terminals of the stems and in clusters of 5 to 10 together. The flowers have a tubular corolla and four equal lobes that spread out at the open-sided end of the tube. So, you can picture how the flower looks, it is quite simple but at the same time elegant and has a lot of character. Use this flower in bouquets or along with wall hangings and they surely will add a different dimension to the décor. 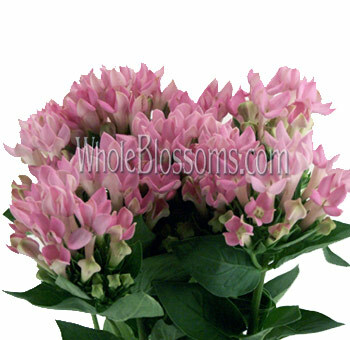 When the Bouvardia flower arrives at the florist, they are generally buds. After a few days, the flowers begin to bloom and show their real beauty. However, once they have bloomed completely, the can begin to droop or sometimes even fall off the stem. 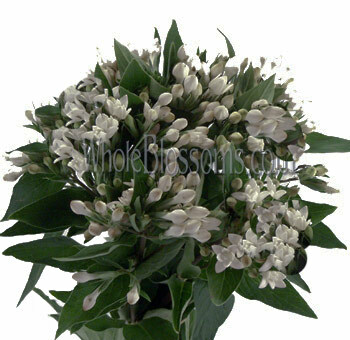 Bouvardia flowers are extremely delicate and need to be handled with the utmost amount of care. Even the slightest of mishandling can damage the flower. The delicate nature and the excellent shape is the main reason why they are a part of wedding bouquets and décor. 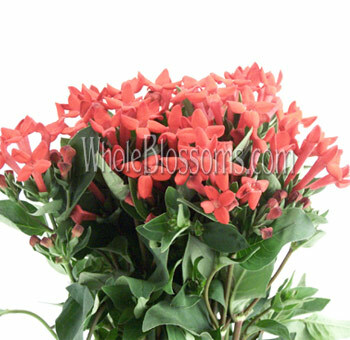 Red Bouvardia flowers can be combined with roses to give your bouquet a classy appearance. The aroma is very light which creates a pleasant atmosphere for the guests in your event. Wedding bouquets with the Bouvardia flowers can be made by using just them, or complementing them along with other flowers. Their wide range of colors can make them a great centerpiece if used in large volumes. Their simplicity allows them to be used around other flowers as well to bring out elements one would never have seen otherwise. They can be used in only one color or multiple colors depending on the surrounding. They look elegant, subtle and classy, and yet can be eye-catching if used correctly. The Bouvardia flower adds a great deal of detailing to the wedding bouquet, making it seem almost fairy-like. Bouvardias are usually employed as filler flowers for the decorations. Being relatively small in size, these flowers give a lively appearance to the décor. Some florists opt to combine these with bigger blooms like chrysanthemums. On the other hand, some florists find it apt to use them with flowers like baby’s breath, giving monotony to the décor. Depending on the theme of the venue, pick the red, pink or white one for your arrangement. You could also consider not using any other flowers in the décor and combining red and pink bouvardias to complete the décor arrangement. Red bouvardia flowers bring an element of love and romance to the venue. Hence, these go perfectly well for wedding decors. If it is an evening affair, try adding floating candles or fairy lights along with these flowers in the décor arrangement. Candle light and these beauties complement each other really well. When it comes to buying flowers for the décor, opting for a retailer that offers to take bulk orders is the best bet. When it comes to flowers, the more the merrier! 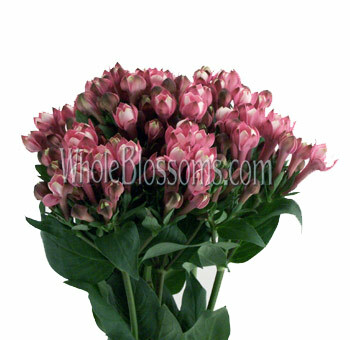 Online retailers like Whole Blossoms are perfect for buying flowers foor arrangements. They have a broad portfolio of flowers to choose from and all at extremely affordable prices. Let Whole Blossoms be your Bouvardia florist and they will ensure you receive nothing but the best quality Bouvardias in the color of your choice. 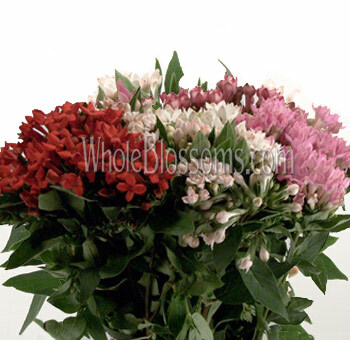 Whole Blossom is guaranteed to make you happy as they are reputed in delivering flowers of high quality asevery petal matters.Along with this, they keep a focus on freshness of the flowers.The flowers must be fresh as this increases the lifespan it offers to you and your decorations. When looking for a flower vendor you should focus on quality, freshness, and convenience, three parameters Whole blossom achieves very comfortably. The company specializes in the wholesale supply of flowers for events and weddings. Get the freshest quality flowers delivered at your doorstep! With a single click, place an order for your chosen flowers and get them delivered at your doorstep.